Maxie Heating & Cooling is proud to serve the Pennsville community! About Pennsville, NJ - Happy to be your hometown Heating & Air Conditioning Contractor! Pennsville is a small township in Salem County, New Jersey. It is attractive, quiet and family-friendly. If you enjoy watching the seasons change, then this is the place for you! This area experiences warm/hot summers and cold winters. You can swim in August and sled in December making it a great place for those who love the outdoors. Though it is not large, it is quaint and boasts a great deal of history. For example, the Finn’s Point Lighthouse is an historic landmark that was once used to guide boats traveling on the Delaware River. It has been lovingly restored and revamped more than once over its lifetime of about 300 years and has become a focal point of the township. If you find yourself near the water on a pretty day in spring or summer, you should absolutely check out this little piece of history. 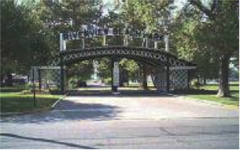 Also along the river is Riverview Beach Park which is a beautiful waterfront park with a great deal of character and charm. At this park, you will also be able to experience the area’s history as it has been in the town for over 100 years in a variety of capacities. It began as a privately owned hotel property and went through many incarnations before becoming a public park in the 1970’s. There are rentals available for facilities at the park and, of course, stunning river views. If you are looking for something fun to do on a sunny summer day then you should make the short drive to Cherry Hill in Camden County. There, you will find Merchantville Country Club. It is a 9-hole golf course, and one of the oldest courses in the U.S. In keeping with the rest of the area, you can experience local lore and antiquity here, as well. This is the perfect place to enjoy some sunshine, work on your swing and get, yet another, small dose of history on a pretty day.